Shop Handmade UK: New Designers For November! I've been a little absent for the past week as I've been madly photographing and listing the beautiful Gift Boxes but more on them in a bit. I have also managed, albeit somewhat delayed to list 36 new designer on the directory. That now takes our total to 1245 fabulous UK designer / makers listed. Here's a snapshot at just a few of those recently added, to view them all visit the directory and look for the 'NEW' icon. 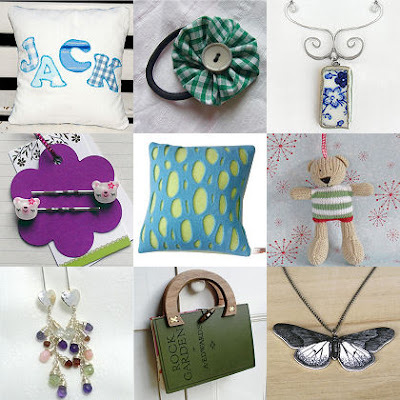 Happy handmade shopping! I was just passing by here and i came across your post.All the designs are awesome.Great job!I will look forward for more such post.Keep up. I love the November Month for Giving this awesome design to us. Here I love all the Design. Thanks for sharing this awesome design and its really incredible. One exciting new advance in breast lift technology is the Laser Bra Surgery. It is designed to offer stronger internal support to lift and enhance the breasts and create a youthful, firm appearance. During the procedure, the same approach to incisions is used as in traditional breast augmentations, lifts, and reductions.